The Belgrade Apartments section will be interesting for you if you are looking for a quiet, relaxed and relatively cheap apartments in Belgrade Serbia. In comparison to hotels, the section - Apartments in Belgrade, represents a more convenient accommodation option for you. Short stay Belgrade apartments for rent have become very popular, so many guests in Belgrade decide to use apartment rentals for at least one, and often more overnight stays. Therefore, BelgradeEye your city guide has decided to present you a detailed list of apartments for rent in Belgrade Serbia, which will offer a completely new form of comfort when it comes to accommodation in our capital. The offer of apartments for rent is very big, so in the sea of same apartments, you are probably wondering how to know that the exact apartment will be the best one to suit your needs. 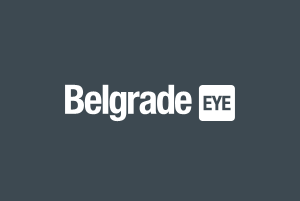 BelgradeEye has made efforts to gather all real estate properties in one place for the needs of finding accommodation in Belgrade. They are located in the beautiful parts of the center of Belgrade, from the historically exuberant Dorcol, through the magnificent main town squares, to the elite parts of the peaceful Vracar. First of all, you need to start from choosing a family apartment, a couples apartment retreat or if you are temporarily in Belgrade on a business trip so you might need one-room or one-bedroom apartment for a few days. Keep in mind that some apartments are rented for a minimum of 3 days straight. After you’ve chosen the right apartment type, you should choose the apartment based on its location in Belgrade. Apartments are available all across Belgrade, so it won’t be hard to choose the right one for your needs. If you are with your family, you want the maximum comfort from the apartment so you can feel at home. These twin apartments offer you all the benefits of a home. They are quite spacious and neat, equipped with everything that is essential for a pleasant stay and promised privacy. So, you can relax with your loved ones, indulge in pleasure and carry over the part of family idyll to Belgrade. Ideal apartments in Belgrade for the younger population or couples coming to the capital for entertainment and tourism. Whether you are with your best friend, boyfriend or girlfriend - these Belgrade apartments are ideal for you and your companion. Enjoy the absolute comfort of the apartment for two and make your stay in Belgrade an unforgettable experience with everlasting memories. If you happen to come to Belgrade in passing, and you need accommodation, or have a business trip that made you come to Belgrade, or you may be one of the loners who loves to experience adventures on their own. You know what to do... Head to BelgradeEye accommodation and there is your solution. A large number of real estate is at your disposal, and among which you can find one that is right for you, both in terms of location, price and the interior itself. There is still a misconception that the apartments you can find in our capital are old apartments and rooms that haven’t been settled for years, and are rented for incredible sums of money. On the contrary, a large number of entrepreneurs in Belgrade made their magnificent buildings according to the needs of renting to guests that want the highest quality available. These luxury apartments often offer the service of a building guard, a duty officer and a suitable parking lot. Entire blocks of new buildings and apartments are being built in Belgrade, equipped for the needs of modern guests who want only the best for themselves. Large penthouses, duplex apartments and pool buildings are no longer a future. Real estate located in the beautiful parts of the center of Belgrade, from the charming Dorcol through the crowds of the main town squares, to the elite parts of the peaceful Vracar. Apartment prices in Belgrade range from 30 to 100 euros per day. Of course there are cheaper and pricier offers. Anyhow, your accommodation needs will be suited if you browse through our apartment offers. 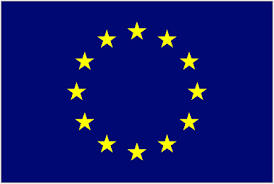 Regarding the location of the apartments in Belgrade, each location carries a certain price. To rent an apartment in Belgrade center, you’ll need to prepare more money. The suburbs are cheaper, but the most important thing is the connection of the location of an apartment with other city areas. Public transport, nearby markets, etc. If you want to be part of the rich cultural and nightlife part of Belgrade, downtown is made for you, but you must be ready to pay more. So, for example, if you want to be a part of the social life in the center of Belgrade, where the most famous hotels, cafes and restaurants are located, then a location like Terazije or Knez MIhailova street is the right choice for you. Then, there is a gracious Skadarlija, a popular bohemian quarter of Belgrade. Which, with absolute certainty, can offer an amazing experience in the spirit of the old, acoustic melodies of Belgrade that come from numerous restaurants and cafes. There is also the unavoidable "Silicon Valley" of Belgrade in Strahinjica Bana street, packed with cafes and bars, which will become your favorite location in Belgrade. If you want to escape the crowds and bustle of the city center, a great choice would be the peaceful Vracar. Go through our offer of the apartments, call the phone number or send an email, book your accommodation and write us your impressions, so that other guests can easily decide which apartment or agency is good for them. Help the community and enjoy your stay! Cheers! This spacious and luminous apartment, only 5 minutes walking distance from Kalemegdan park and fortress and 10 minutes from Republic Square and Knez Mihailova Street, is suitable for up to 5 adults!..